The jury is in.While MCT Oil isn’t exactly bad for you, it leaves out important nutrients you need. And the money you spend on it funds the swindle! I’m happy to say that the TreeLight site is well-enough regarded, and well-enough known, that people propose articles to me, from time to time. One of the topics that is more frequently posed is that of “MCT Oil”. Every so often, I get a really well-written article that claims MCT Oil is vastly superior to coconut oil, and that purports to explain why. The latest proposal was the best yet. It was so well written as to be darn near convincing — until I read the paper it was referencing. I can only assume that someone is paying these people to write the articles. They provide a list of points to make, give the person a couple of references, and then offer to pay them for every link that is posted to it, with an extra bonus every time it is picked up and posted. Or maybe the people who are making money by selling MCT Oil just write the entire article, and pay people to pretend they wrote it. Either way, the latest proposal was instructive. So instructive, that I doubt I’ll fall for the “MCT Scam” ever again. 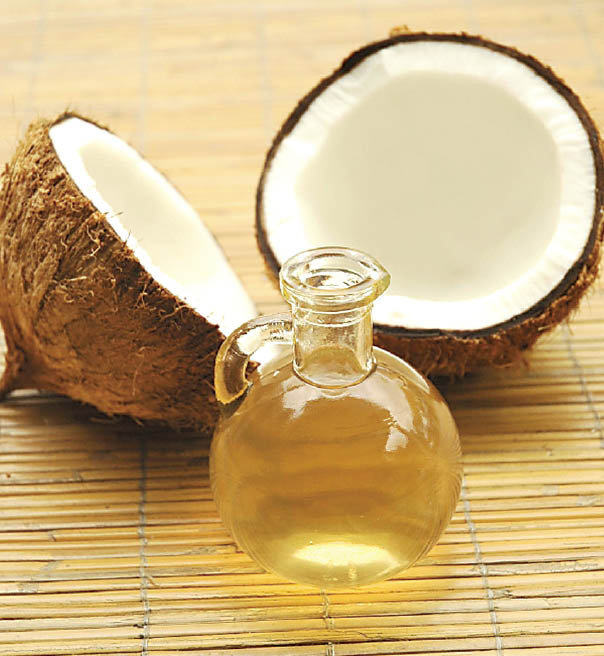 Coconut oil has large amounts of Lauric Acid (true). Only small amounts of Lauric Acid are converted to Monolaurin (true). Monolaurin is a very effective antimicrobial (true). The other Medium Chain Triglycerides (MCTs) are more effective antimicrobials (false). A good MCT Oil contains no Lauric Acid (true). Therefore MCT Oil is better than Coconut oil (false). As a prelude, it may be helpful to understand how fatty acids are processed — because another claim made in the article was that “Lauric Acid doesn’t act like a true MCT” because “it has to be processed in the liver”, whereas “other MCTs bypass the liver”. The long-chain triglycerides go all the way down the intestinal tract, and are absorbed into the lymph, where they circulate and are stored as fat cells, before they are used. So if there was any point to be made at all, it’s that LA undergoes more processing in the liver. But that processing, it seems, is extremely beneficial for us primates! I suspect that monolaurin is like Omega-3’s. Only small amounts are needed, compared to other versions of the fatty acids, but those amounts are critical. So MCT and coconut oil are equivalent, with the exception of Lauric Acid and the small amount of monolaurin that results. However, if Lauric Acid is present in large amounts, then even a 3% conversion rate would produce a reasonable amount of Monolaurin! So if a body is consuming MCT Oil, where does it get Monolaurin from, if the MCT oil contains no Lauric Acid? Lauric acid is pretty important then. And my personal belief is that we evolved as a species on a tropical beach, with coconuts, fish, and bananas. In other words, our bodies are adapted for those things. So creating a “refined” product like MCT Oil seems to be a step in the wrong direction. It purports to be better, but I do not believe that it is. So even a cursory reading of that reference paper should have prevented the author from making the claims made in the proposed article! My bottom line at this point is that coconut oil is vastly superior to MCT Oil for human health. If someone really likes spending money, they should combine MCT Oil with a supplement that includes Lauric Acid and Monolaurin! Because, in my view, MCT Oil is simply another variation on “refined foods”. It’s like “white bread” and “white rice” which, by removing the bran, make a tasty product that can be sold for a lot — enough to fund extensive marketing efforts, in fact — after which the people who buy into the swindle need to buy other expensive supplements to get the nutrients the refined products are lacking!